NEW YORK (WABC) -- Long Island native and Mets pitcher Steven Matz may have only made it to the big leagues last season, but he's already making a name for himself when it comes to giving back. 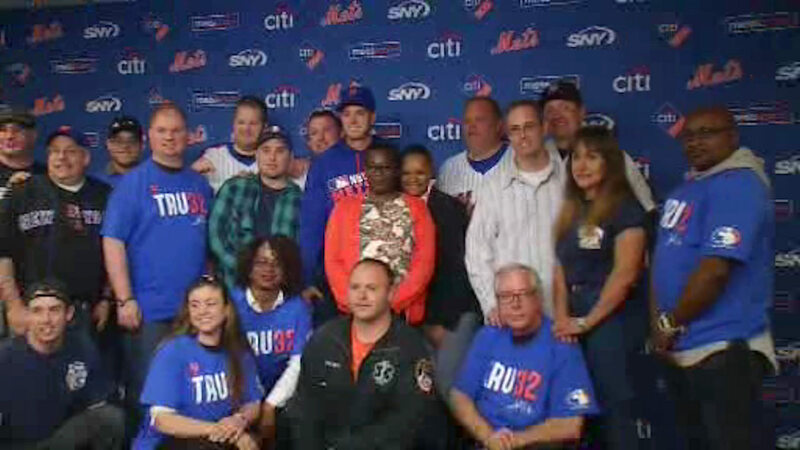 Matz has begun the "TRU 32" initiative, where he will honor local first responders, which includes members of the NYPD, FDNY, and the military, by hosting them at every Wednesday home game throughout the 2016 season. "They sacrifice their lives in their line of work, so just to show appreciation to them is what it's all about," Matz said. Beginning with Wednesday night's game against the Cincinnati Reds, 32 first responders will get to watch batting practice and meet with Matz before getting to watch the game from the field level. If he wasn't a pitcher, the 24-year-old Mets starter would have become a firefighter, so he has a tremendous amount of respect for the job. "I just think it's a really cool line of work and I have a lot of respect for those guys," Matz said. "Like I said before, they risk their lives and keep our community safe." The idea for the "TRU 32" initiative came from a similar program run by Arizona Diamondbacks closer Brad Ziegler called Pastime for Patriots.